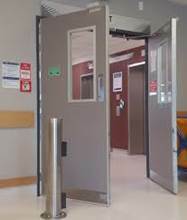 Passive Fire Systems and Fire Doors can be a cost effective approach to limiting the spread of fire and smoke within a building from the room where it originated to other areas in the building, it can also provide occupants more time to evacuate the building or reach a safe area to refuge in the event of an emergency. Fire Doors will have a fire rating known as a fire resistant level (FRL) they must have the proper hardware installed such as Closers, handles locks etc and are also required to be self-closing and latching. They are to be inspected by a qualified technician which must hold a QBCC relevant license.